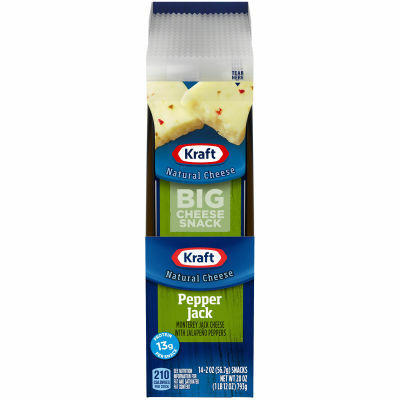 This delicious Kraft Pepper Jack BIG Cheese Snack is prepared with quality ingredients that are delicious. This cheese snack has a flavorful taste the whole family will enjoy and helps to satisfy your hunger between meals. Popular with adults and children alike, this cheese snack is a perfect grab and go snack. Serving size 1 stick (56g).